The Hanafuda Sensei are special volunteers who help spread the game of hanafuda Hawaii style. They have helped with dozens of hanafuda presentations, and taught hundreds of people how to play. 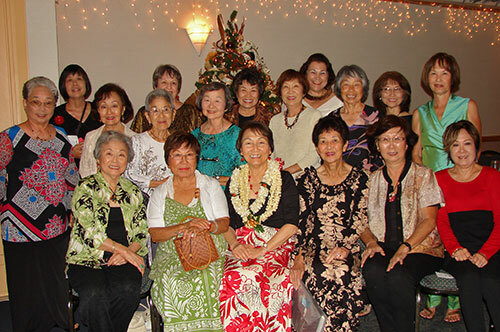 They have volunteered to raise funds for local non-profits like the 442nd Veterans Club — which sponsored veterans to go to Washington D.C. — and Lanakila Meals on Wheels — which provides home-delivered meals services to people in need. We are especially grateful to all of the Hanafuda Sensei for their hard work and generous spirit. Hanafuda Hawaii was founded by a grandmother, Helen Nakano, who wanted to share some of the fun from her childhood with her granddaughter. Together with her son, she wrote a book that makes playing Hanafuda fun and easy to learn. 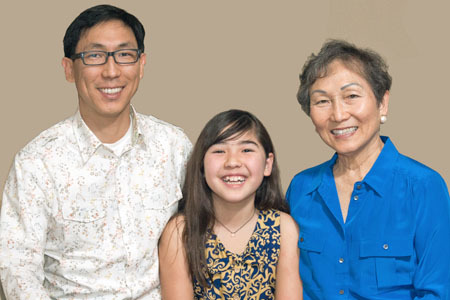 The mission of Hanafuda Hawaii is to bring generations a little closer. During plantation times, families throughout the Islands played Hanafuda. Ways for the old and young to connect are fewer nowadays. By teaching Hanafuda to a new generation, we hope to preserve this cherished Island tradition so families, once again, will make more time to play together.